Apartment five is a top floor apartment with a garage and a parking space. 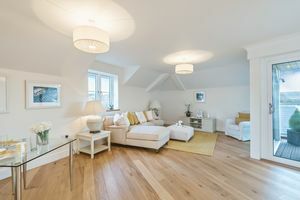 It is fitted out to a high specification and has generous dimensions throughout. The living room is bright and spacious with windows on three sides and access to the balcony. 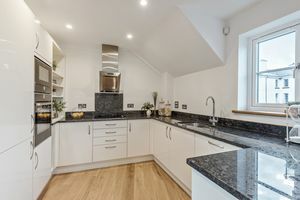 The kitchen is extremely well fitted including all major appliances. The large main bathroom has a shower and bath and the master bedroom has a lovely ensuite shower room. 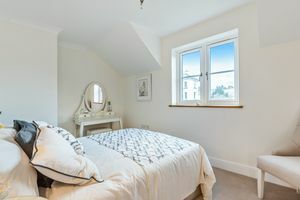 The second bedroom is a good double too. 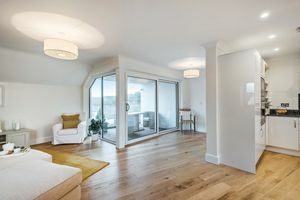 The apartment is fully double glazed and has mains gas fired underfloor heating throughout. This is an age exclusive living with an estate manager. Fowlers very strongly recommend coming to see this fine home. 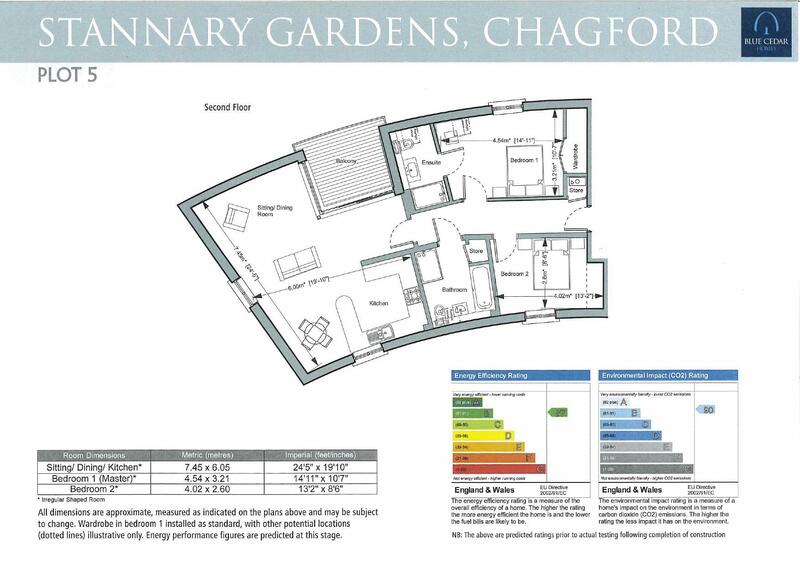 Stannary Gardens is situated at the edge of the ancient stannary town of Chagford. It is only 300 metres to the town square and buses to Exeter, Newton Abbot and Okehampton will stop just across the road. 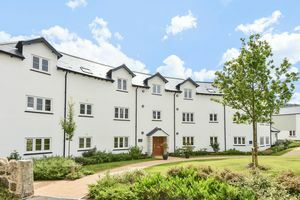 Countryside, riverside and moorland walks are all close by and the town has excellent amenities with many day to day and specialist shops, restaurants, cafes and tea rooms, a parish church, Roman Catholic church and chapel and four pubs. The community is lively and comprises all age groups. There is a football and cricket pitch and pavilion, a tennis club, bowling club and an open air swimming pool in the summertime. 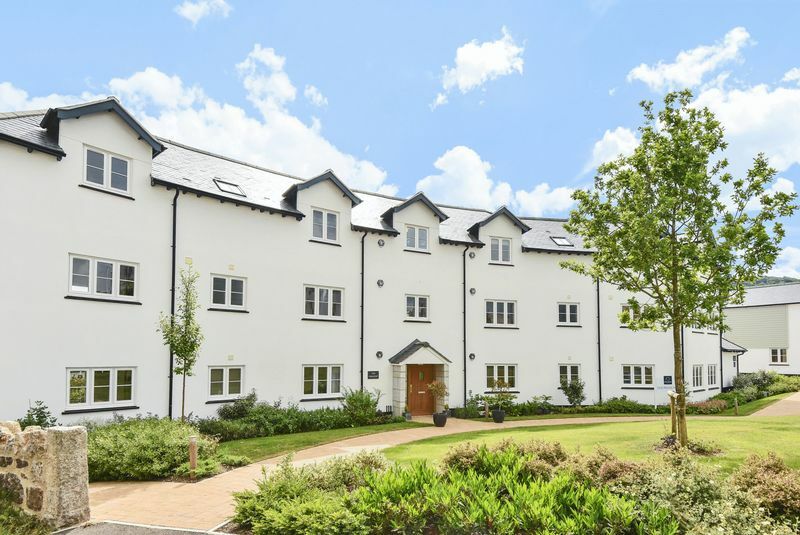 Exeter is approximately 20 miles and the A30 dual carriageway just 5 miles. 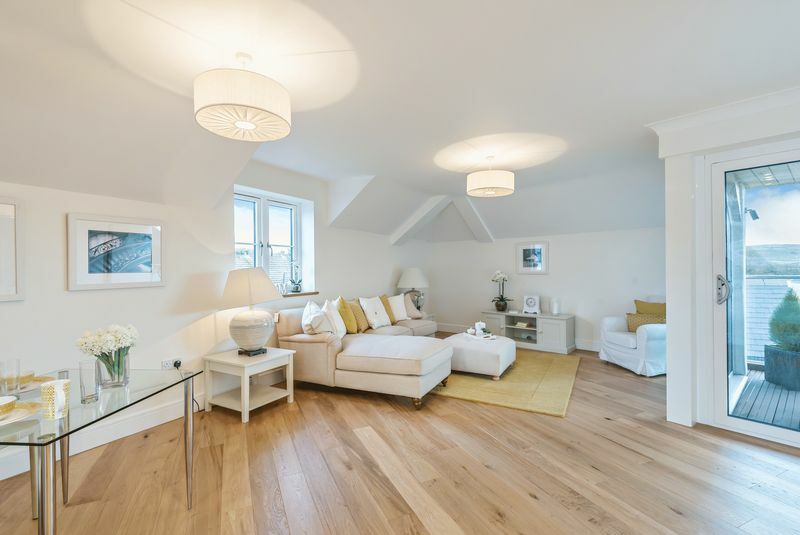 The hall is an engineered oak floor with underfloor heating, there is also a built in cupboard for the Ideal gas fire central heating boiler and access to the services for the apartment. A large double bedroom with views looking out across Dartmoor. 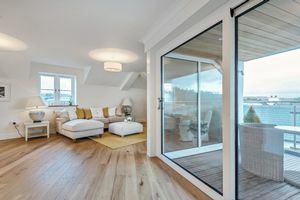 There is a double glazed window with an engineered oak flooring and the floor is fully carpeted. A spacious double bedroom with a built in wardrobe, a double glazed window with an engineered oak sill. 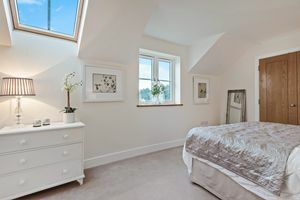 The bedroom also has access to an ensuite bathroom. 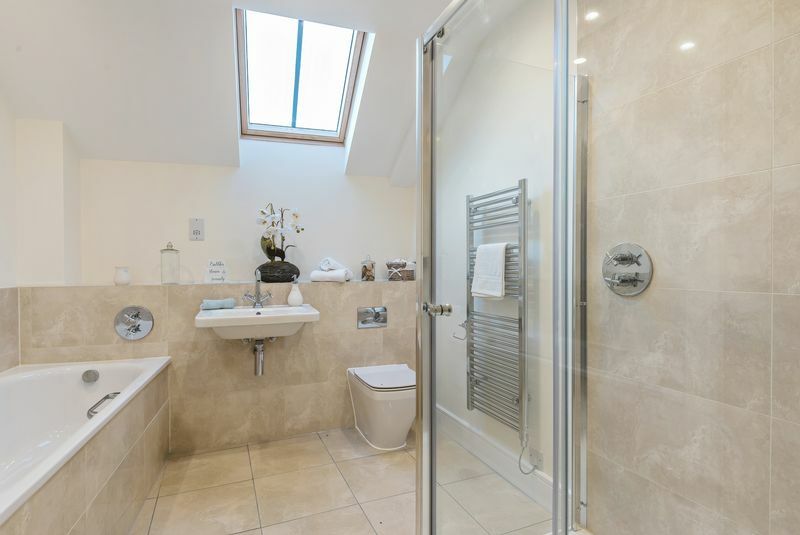 The floor is tiled with underfloor heating, there is a free standing sink with storage drawers beneath and a low level w.c with a concealed cistern tank. There is also a large waterfall shower and a heated towel rail. A very smart bathroom with a fully tiled floor which is underfloor heated and a built in bath with chromed mixer taps. There is also a walk in waterfall shower and a free standing sink and the w.c. has a low level concealed cistern tank. The bathroom has a built in cupboard with shelving space inside. 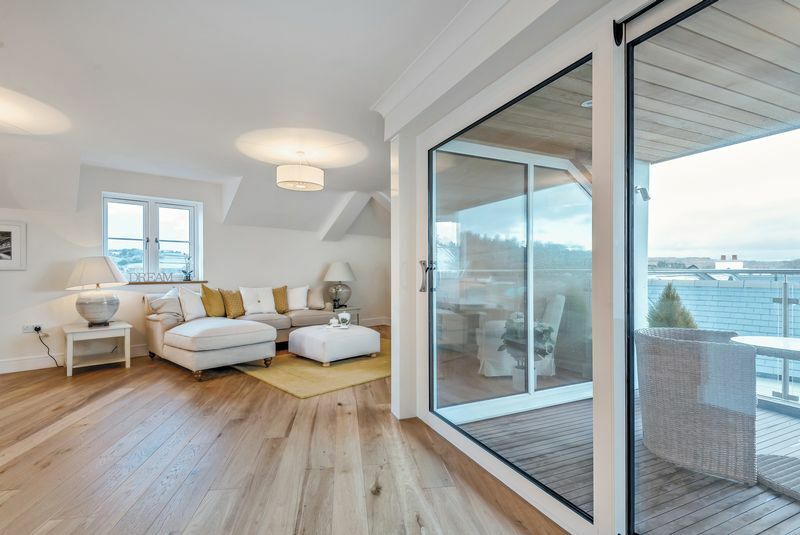 A large sitting area with an engineered oak floor and sliding double glazed patio doors which lead out onto the balcony with lovely views of Dartmoor. The sitting room also has plenty of space for a dining table as well. 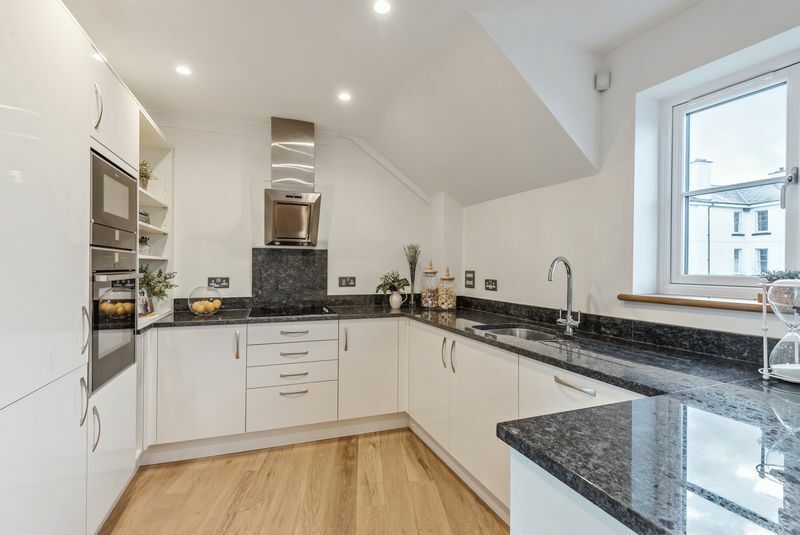 A smart fitted kitchen with granite work tops and engineered oak floor and a glass halogen hob with a granite splash backs. There is also a Neff dishwasher, a built in fridge and freezer and a washer/dryer. 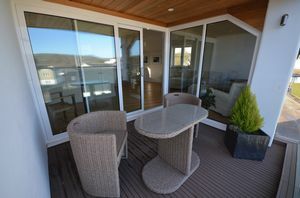 A good sized balcony with views of the moors and surrounding countryside with space for a table and chairs. A large garage which has a wooden metal framed electric up and over door, concrete flooring and power and light. The property also comes with a parking space. Main electricity, water, gas and drainage. From Fowlers turn right and go down the Square passing the pharmacy and Old Forge Tea Room which leads into Southcombe Street. At the right hand bend the road becomes Lower Street and at the bottom of Lower Street on the right is Bretteville Close. Go into Bretteville Close and the temporary entrance to Stannary Gardens is on the left. © Fowlers Properties. All rights reserved.